It may have happened to many of you. Even without bad intention, it is recurrent to see sexist behaviours in our day to day, when we interact with other people. In fact, sexism is a phenomenon that is fully settled in our society. And as a social ecosystem, the beer scene of our country is also subject to of such attitudes. 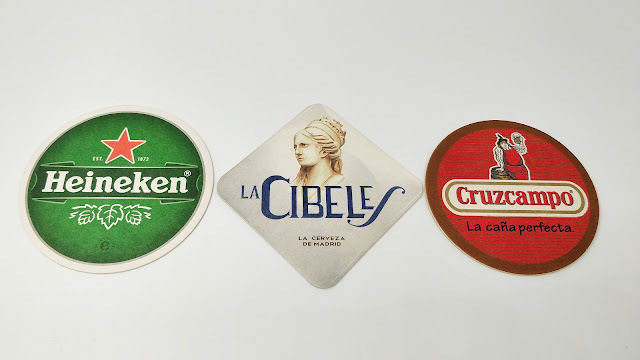 Advertising helped to create the collective idea that beer was a drink for men, relegating women to simple servants and decorative objects available for the enjoyment of the virile drinker. It mustn't have helped, either. 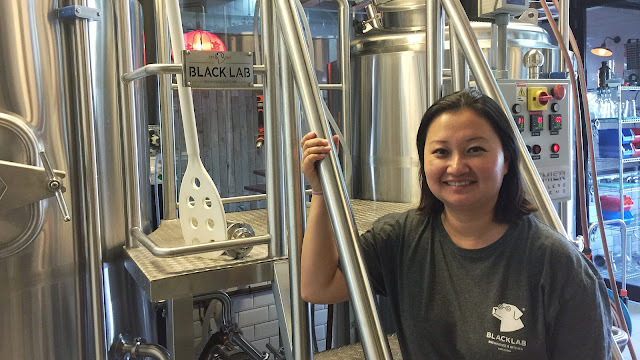 I met Jing Chen at the Round Table I moderated at the Barcelona Beer Festival 2015. From a Chinese family who emigrated to Galicia more than 30 years ago, she holds a bachelor of Architecture from the Universitat Politècnica de Catalunya -UPC-, a master's degree from the Illinois Institute of Technology and speaks 3 languages at native level. She always knew that she wanted to start a business, and meeting Matt Boeder was the perfect combination: knowledge in restaurants plus brewing. This was how, after two years of planning, they decided to found the second brewpub of the city of Barcelona: BlackLab Brewhouse. I remember how Jing caught my attention from the first moment I dealt with her, not only for the clarity of her ideas, but also for her direct and frank speech. Determined to enhance and highlight the role of women in the brewing industry, she began developing the idea of ​​an association or group until someone suggested her to look at the Pink Boots Society -PBS-, which she joined in April 2017. Today she is the leader of the Spanish chapter. The Pink Boots Society is a non-profit organization founded in 2008 in the United States by Teri Fahrendorf -Road Brewer-, for the education and support of women in the brewing industry. Currently led by Laura Ulrich, it has more than 2,700 members, in more than 50 chapters spread throughout the world, with a special presence in North America. In 2016, Anna Hereu -ex Haandbryggeriet, now in Mad Brewing- founded the PBS group in Spain, of which Jing became its leader in 2017. With this core of women, who hold key positions in the brewing industry, the PBS also seeks to inspire women consumers to find their drink of choice in beer. This week we will have the opportunity to know more about the PBS action in its social presentation during the 6th Fira del Poblenou. Organised in two sessions, Saturday and Sunday, the presentation will be hosted by Anna Hereu and Jing Chen, in addition to Lorena Bazán, sommelier and owner of Flor de Llúpol store; Sonia Meroño, owner of As Cervesa Artesana; or Susana Giner, one of the pioneers of the beer scene from her store and bar 2d2dspuma. All washed down with beers from BlackLab and As Cervesa Artesana. Sounds like a plan. In the future, possibly for the International Woman Brew Day, they have planned to create a PBS beer with the idea of ​​raising funds to help finance the education of one of the members, and to continue spreading the group's action. In the long term, the idea is to subdivide the chapter by geographical areas for a more local action, led by different leaders. Personally, I am very happy to see this type of initiatives emerge within our brewing scene -in fact, two years ago I hinted to this opportunity-. For me, it tells about the existance of a collective will to make it grow stronger, more equal and transversal. In short, a better scene for all its cohabitants: from consumers to professionals. To worry about aspects that directly connect with problems that we find in all kinds of social contexts is proof of the quality and health of our sector; of a positive nonconformity that will help us continue being successful.